David Allan, Tina Blythe, Alan Dichter and I collaborated on a new book, to be published by TC Press in 2018. We wrote this for educators to use with students of all ages. 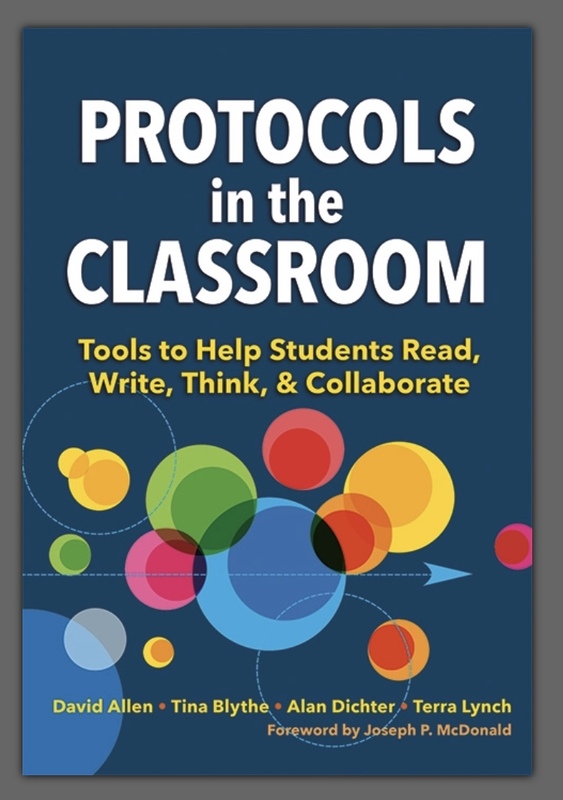 Included are vignettes from 12 teachers across the country who are using protocols in class, with students. I was thrilled to be interviewed and to contribute writing to David Allen's and Tina Blythe's latest book. It is full of concrete ways for teachers to work through challenges so they can truly collaborate. In Chapter 11, "Voice of Experience," I write about how facilitating groups is analogous to hosting Thanksgiving dinner. Protocols can--and should--be adapted to suit the needs of the group. As a result of my work across teams and schools, I came up with some routines and rituals to make efficient use of time. I also tweaked a data protocol to make it more accessible to teachers. Both are included in the third edition of this seminal book. I invited researchers into my high school classroom to collaboratively plan a lesson, then record and reflect the results. Chapter 7 illustrates the successes and "pivotal" failures of our work together with my 10th grade Humanities students.